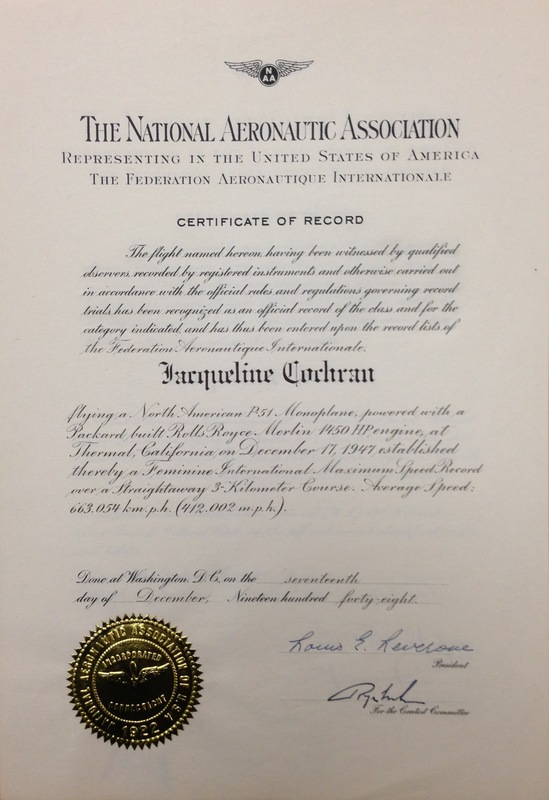 17 December 1947: At Thermal, California, Jackie Cochran flew her green North American Aviation P-51B Mustang, NX28388, to a Fédération Aéronautique Internationale (FAI) World Record for Speed Over a 3 Kilometer Course. Her average speed, after two passes over the course in each direction, was 663.054 kilometers per hour (412.002 miles per hour). Cochran’s altitude over the record course was at Sea Level. The airport at Thermal is 115 feet (35 meters) below Sea Level. During December, the daily high temperature averages 71.0 ˚F. (21.7 ˚C.). The airport was established as Thermal Army Airfield during World War II, but today is the Jacqueline Cochran Regional Airport (TRM). A week earlier, 10 December 1947, Cochran set another record World Record, flying NX28388 over a 100-kilometer (62 miles) closed circuit, averaging 755.668 kilometers per hour (469.549 miles per hour). (FAI Record File Number 4478). 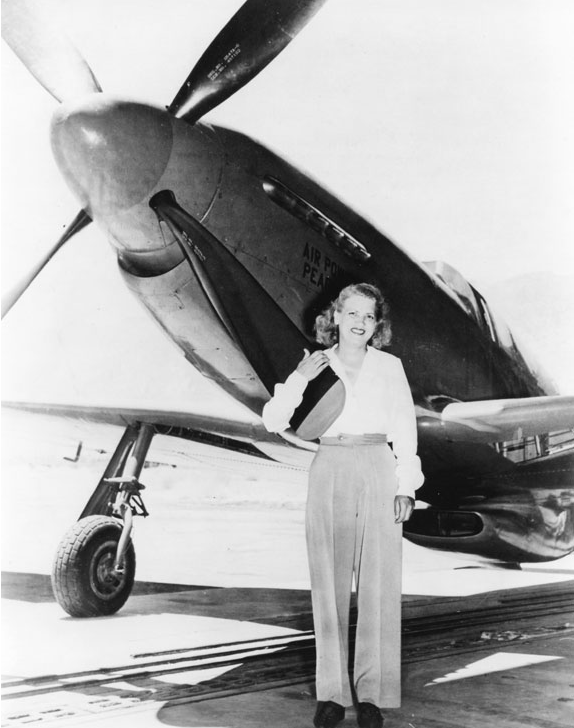 NX28388 was the first of three P-51 Mustangs owned by Jackie Cochran. It was a North American Aviation P-51B-15-NA Mustang built at Inglewood, California in 1944. It was assigned NAA internal number 104-25789 and U.S. Army Air Corps serial number 43-24760. She bought it from North American Aviation, Inc., 6 August 1946. 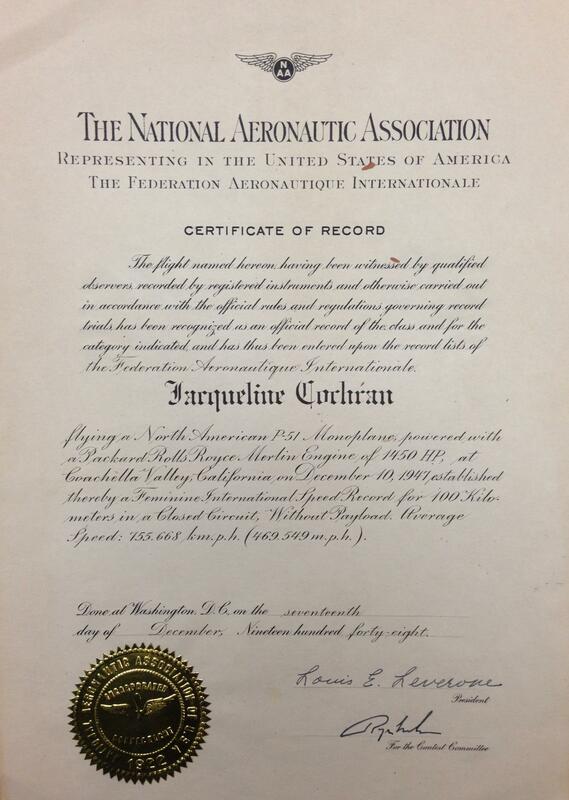 The airplane was registered to Jacqueline Cochran Cosmetics, Inc., 142 Miller Street, Newark, New Jersey, but was based at Jackie’s C-O Ranch at Indio, California. The Mustang was painted “Lucky Strike Green” and carried the number 13 on each side of the fuselage, on the upper surface of the left wing and lower surface of the right wing. NX28388 was powered by Packard V-1650-7 Merlin V-12, serial number V332415. “. . . my plane crashed, carrying my associate, Sam Held, with it to his death.” —The Stars At Noon, by Jacqueline Cochran, Little, Brown and Company, Boston, 1954, Chapter IV at Page 79. NX28388 crashed six miles south of Sayre, Oklahoma, 8 September 1948, killing Sam Held. Two witnesses saw a wing come off of the Mustang, followed by an explosion. 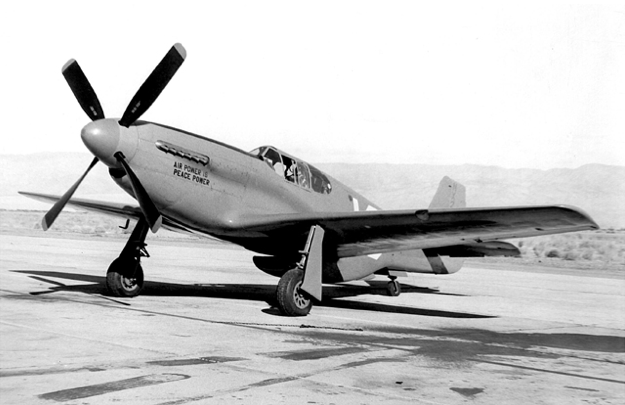 The P-51B was the first production Mustang to be built with the famous Rolls-Royce Merlin engine, and was virtually identical to the P-51C variant. (The P-51Bs were built by North American Aviation, Inc., at Inglewood, California. P-51Cs were built at North American’s Dallas, Texas plant.) They were 32 feet, 2.97 inches (9.829 meters) long, with a wingspan of 37 feet, 0.31-inch (11.282 meters) and overall height of 13 feet, 8 inches (4.167 meters) high. The fighter had an empty weight of 6,985 pounds (3,168 kilograms) and a maximum gross weight of 11,800 pounds (5,352 kilograms). 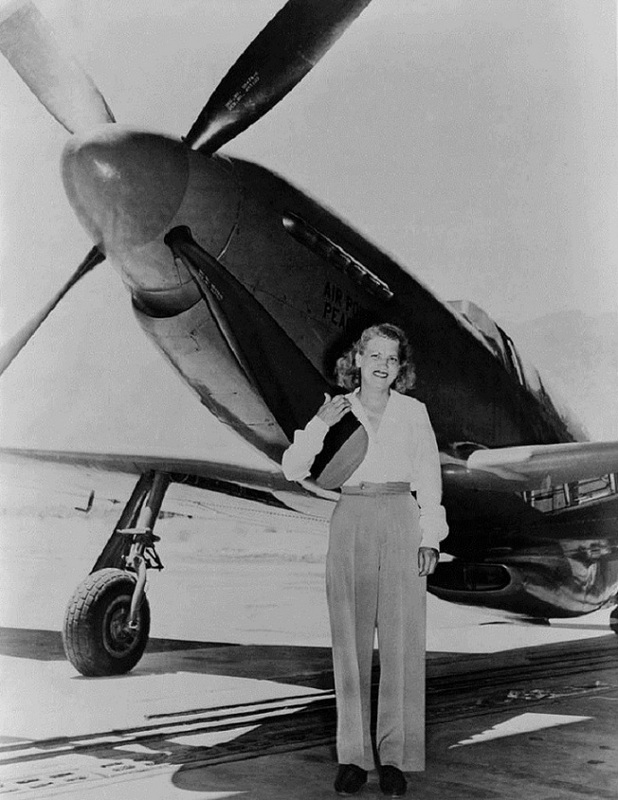 NX28388 was the first of three P-51 Mustangs owned by Jackie Cochran. It was a North American Aviation P-51B-15-NA Mustang built at Inglewood, California in 1944. 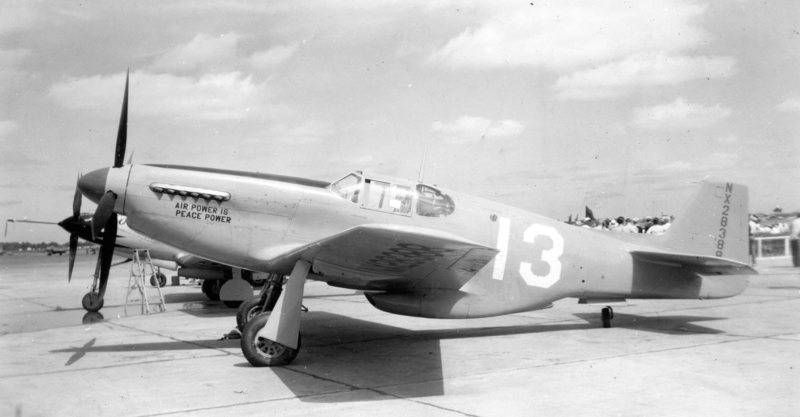 It was assigned NAA internal number 104-25789 and U.S. Army Air Corps serial number 43-24760. Cochran bought it from North American Aviation, Inc., 6 August 1946. 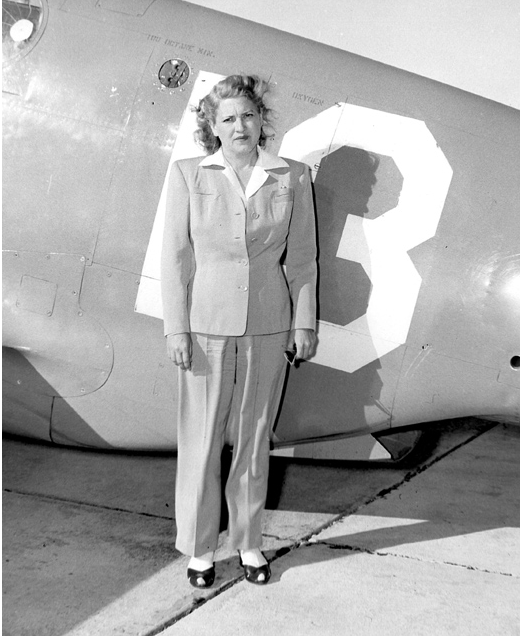 The airplane was registered to Jacqueline Cochran Cosmetics, Inc., 142 Miller Street, Newark, New Jersey, but was based at Jackie’s C-O Ranch at Indio, California. The Mustang was painted “Lucky Strike Green” and carried the number 13 on each side of the fuselage, on the upper surface of the left wing and lower surface of the right wing. NX28388 had crashed six miles south of Sayre, Oklahoma, 8 September 1948, killing Sam Held. Two witnesses saw a wing come off of the Mustang, followed by an explosion.